I thought I’d take the opportunity to wish all my fellow Chief Petty Officers a happy 121st birthday. For more information about the history of the Chief Petty Officer, visit www.goatlocker.org or www.navy.mil. Last Friday, 13 Sept. 2013, a career long dream came true. I was pinned as a Chief Petty Officer in the United States Navy. I had the pleasure of being pinned by my dad Chip Bryant and my grandfather Hoyt Ownby, a Korean War Arm Veteran. The process leading up to the pinning was challenging yet extremely rewarding. Below is a copy of the CPO Creed. It’s posted several places on the web and I want to propagate it on my blog as well. “During the course of this day you have been caused to humbly accept challenge and face adversity. This you have accomplished with rare good grace. Pointless as some of these challenges may have seemed, there were valid, time-honored reasons behind each pointed barb. It was necessary to meet these hurdles with blind faith in the fellowship of Chief Petty Officers. The goal was to instill in you that trust is inherent with the donning of the uniform of a Chief. It was our intent to impress upon you that challenge is good; a great and necessary reality which cannot mar you – which, in fact, strengthens you. In your future as a Chief Petty Officer, you will be forced to endure adversity far beyond that imposed upon you today. You must face each challenge and adversity with the same dignity and good grace you demonstrated today. By experience, by performance, and by testing, you have been this day advanced to Chief Petty Officer. In the United States Navy – and only in the United States Navy – the rank of E7 carries with it unique responsibilities and privileges you are now bound to observe and expected to fulfill. Your entire way of life is now changed. More will be expected of you; more will be demanded of you. Not because you are a E7 but because you are now a Chief Petty Officer. You have not merely been promoted one paygrade, you have joined an exclusive fellowship and, as in all fellowships, you have a special responsibility to your comrades, even as they have a special responsibility to you. This is why we in the United States Navy may maintain with pride our feelings of accomplishment once we have attained the position of Chief Petty Officer. Your new responsibilities and privileges do not appear in print. They have no official standing; they cannot be referred to by name, number, nor file. They have existed for over 100 years, Chiefs before you have freely accepted responsibility beyond the call of printed assignment. Their actions and their performance demanded the respect of their seniors as well as their juniors. It is now required that you be the fountain of wisdom, the ambassador of good will, the authority in personal relations as well as in technical applications. “Ask the Chief” is a household phrase in and out of the Navy. You are now the Chief. The exalted position you have now achieved – and the word exalted is used advisedly – exists because of the attitude and performance of the Chiefs before you. It shall exist only as long as you and your fellow Chiefs maintain these standards. It was our intention that you never forget this day. Several years ago my parents bought me an iPod. Thus began my love for iTunes and the iPod/iPhone revolution. One of the very first things I found on iTunes was this section called Podcast. I remember listening to a few of them and thinking they were pretty neat. Fast forward a few years to just a couple of years ago (it’s currently 2013) when I happened upon a little show called This Week In Google (TWiG). I was sitting in my car and was killing time by browsing through the list of podcasts on my iPhone and for whatever reason I clicked on the TWiG podcast. I loved it. Since then I’ve been listening to and watching a lot of the content on the TWiT network and it’s made me want to start producing my own content. Leo often talks about the fact that we should be producing and not just consuming content. I want my voice to be heard. There’s just one problem, the two areas that I know well, the Navy and law enforcement, are places I work and anything I produce could be interpreted as me making official statements for those two agencies. The one area that I would really like to focus on is my time in the Navy Reserves. I’ve written (here) in another post about some of my Navy adventures so it’s no secret that I’m in the Navy. I really want to focus on making transition into the reserves as easy as possible. The one thing I have found is that the Navy Reserves has a ton of opportunities and twice as many challenges and I want to identify each of those to make life a little easier. I would also like to teach to an active audience. Evaluations, orders, drills, authorized verses unauthorized absences from drill, uniforms, rate conversion and annual training are just a few areas I want to hone in on. 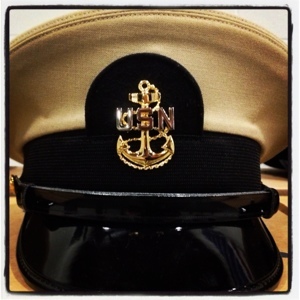 So with all that said, I think I am going to launch a podcast about my experiences in the Navy Reserves. I don’t have much equipment, but I think I have just enough to get started. Stay tuned for Episode 1. In a few months, this blog post will either be updated or deleted depending on the outcome. To advance (make more money) in the U.S. Navy we are given advancement exams. These exams test our job knowledge and our general military knowledge. The test scores are coupled with yearly evaluation scores and a magic number (final multiple) is derived. If your final multiple score is above the score that the Navy determines it needs to meet advancement needs then the individual will be advanced to the next higher pay grade. This method is true when a person is trying to advance to E4, E5, and E6, but differs slightly when trying to achieve the rank of Chief Petty Officer (E7). To become a Chief Petty Officer (CPO) a sailor must still pass the exam and that is where the similarities end. Once the exam is passed the Navy will issue a list of those who are Selection Board Eligible (SBE), just passing the exam doesn’t automatically make a sailor board eligible. 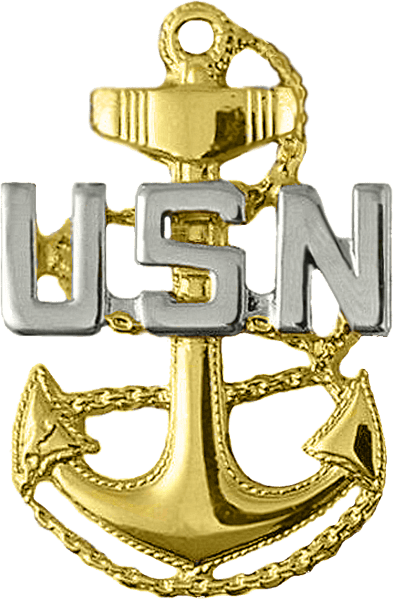 The “Board” is made up of several senior enlisted personnel who pour over service records to find the best of the best to be selected to wear the coveted gold fouled anchor with the silver superimposed U.S.N. So, making board means a lot because if you don’t make board, then you have to wait another year before you can take the test and try again. I made board. This is my second year taking the Chief’s exam and the second year I have made board. I am hopeful, but I am not holding my breath. At present, twelve other First Class Sonar Technicians took the Chief’s test. Only eight of us made board. Last year only one person out of eight was selected to become a Chief Sonar Technician. Personally, I think I have what it takes, but the decision is not up to me. So, if I become a Chief Select I plan on using this blog to document the process. If I do not, then I will delete this and try again next year.